NOTE: This product comes in BLACK only! Perforated vinyl construction with counter-force strap and contact closure provides a comfortable fit to address medial and lateral epicondylitis. NOTE: This product comes in BLACK only! Perforated vinyl construction with counter-force strap and contact closure provides a comfortable fit to address medial and lateral epicondylitis. Universal size fits most patients. Ideal for Medial epicondylitis (Golfer's elbow) and Lateral epicondylitis (Tennis elbow). How man hours a day should this band be worn for tennis elbow? Should it be worn to bed? Thank you. 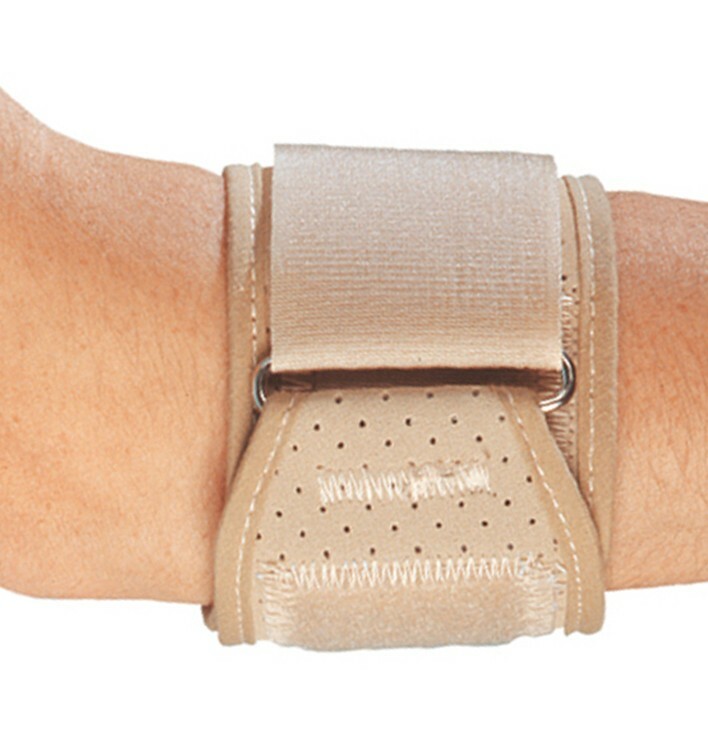 The Tennis Elbow Support is designed to alleviate symptoms. It can be worn during activity, but does not need to be worn to bed. I use for swimming and so far it has been working fine. Cons: It is quite stiff....may loosen up I have had it about one month.